A team led by Robert Moore flew to 16,038 ft above ground level on September 23, 2014. 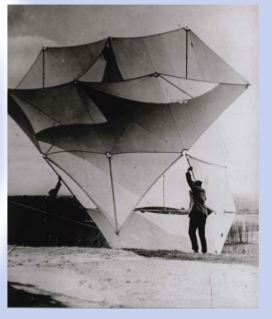 They used over 12,000m of line and a kite with a height of 2.6m and a wingspan of 6m, and a double spreader. My hypothesis is: "People are better than machines at flying kites." To prove this I'll set the altitude record with a kite which can be flown by hand and reeled in by a person. Everything I need fits on my bicycle. This is in stark contrast to previous record-breaking kites, which have been flown by machines. Run of the mill high-altitude kites are so big that people can't fly them, so they are flown by machines. I'd like to show a single person flying a small kite is more effective than a machine flying a large kite. I'll be flying a kid-sized delta kite that I made in my living room, on 39,000 ft of UHMWPE line, and winding it in by hand. Let's set the record straight - people, not machines, fly kites. Jesse Gersenson is a mad-scientist type who lives in Central Europe. 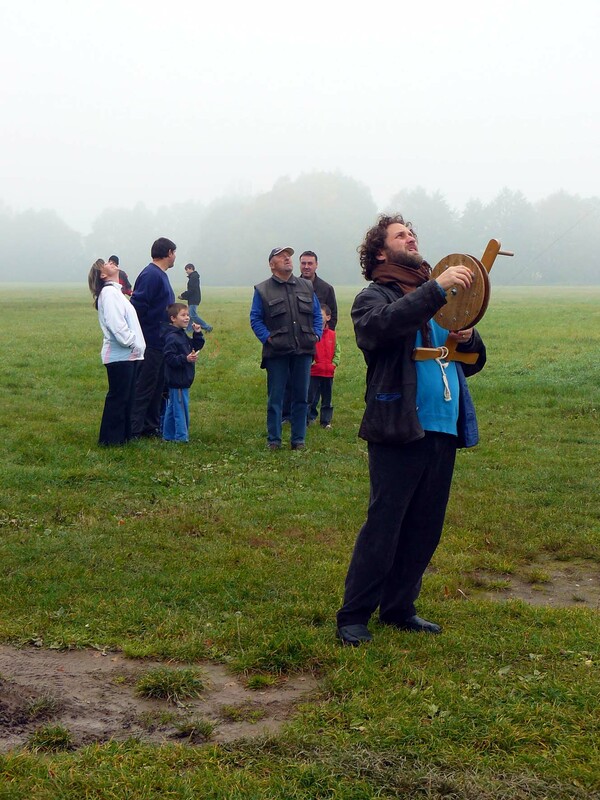 Jesse has been pondering the nuances of high-altitude kite flight since 2009. This shows a range of kite lines I've tested. 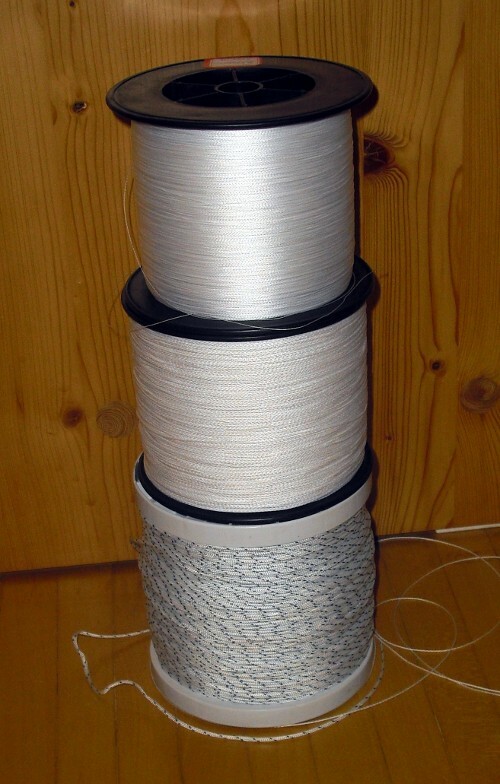 From left to right: 150 lb dacron, 100 lb dacron, 50 lb dacron, 60 lb spectra, 20 lb dyneema, 16 lb dyneema, 6 lb dyneema. The keen observer may note the glass tabletop. It's used when 'hot cutting' the polyester fabric which makes the kite. 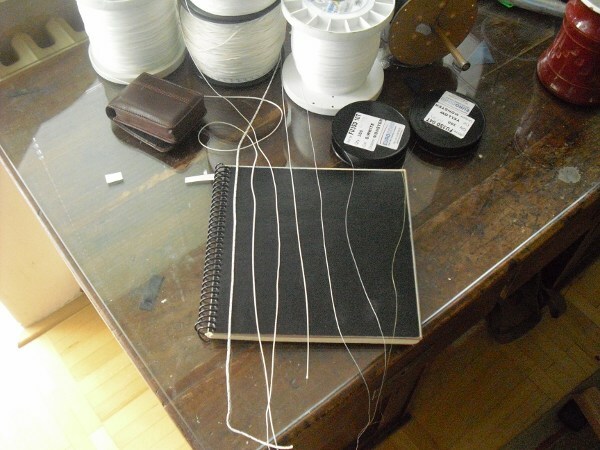 The fabric is cut with a soldering iron. A 'Where's Waldo?' moment. Such views are typical of high-altitude flying. 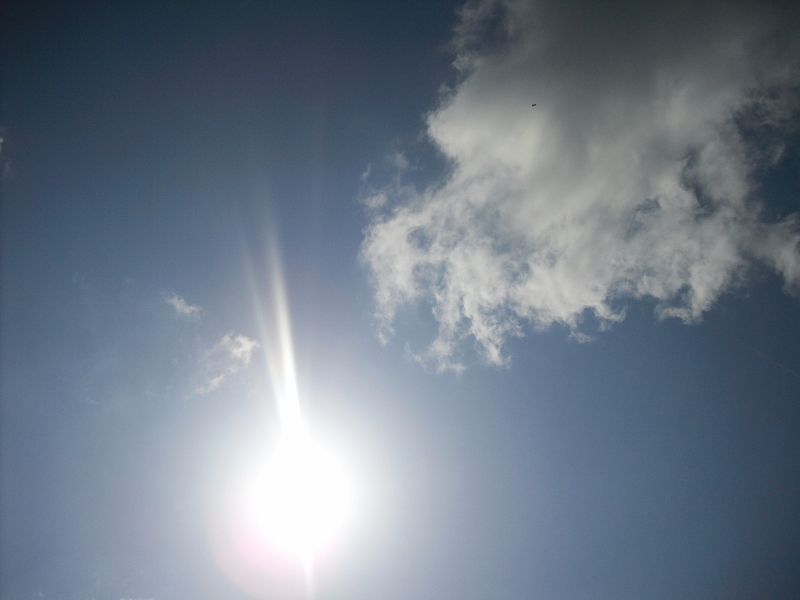 In this picture, taken without zoom on a Elixir EX-Z19, a 9-foot-wide kite appears as a speck in the clouds (towards the top of the photo, a bit right of center). Flying a kite high overhead with onlookers. 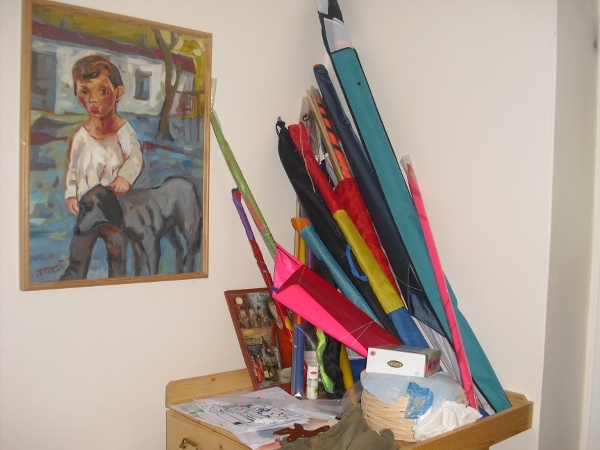 Kites used for testing. Here they're just buttressing the wall of my living room A typical high-altitude kite. This one is a German weather kite from the 1930's. 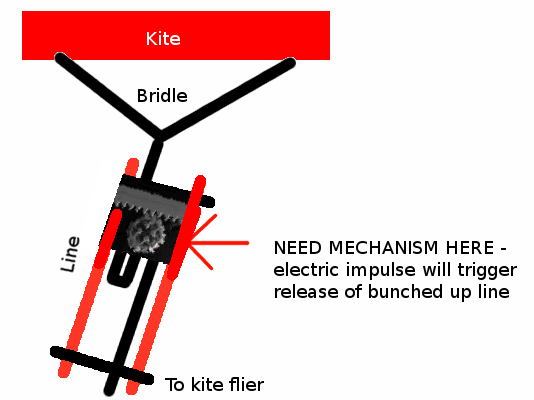 These kites regularly flew over 10,000 ft. A schematic of the mechanism which morphs the kite just before winding in. This lowers the tension on the line and lets me use a simple winder, one without a capstan. Without this release device the accumulated tension on the reel would crush the reel and damage the line while in storage. Some of the lines used for testing. The top one is 16,000 ft of UHMWPE 0.20mm line. It has a breaking strength of 20 pounds. The line I hope to use is even thinner - 79,000 ft of line would take up the same space as this 16,000 ft is taking. The middle spool is 3200 ft of line with 100 lb breaking strain UHMWPE, and the bottom spool is 1000 ft of 150 lb breaking strain dacron. The reel can collapse. The kite can collapse. The string can snap. My arm can get tired, and then tangled in the line and severed. Mishaps may happen, but rewards will be delivered regardless.